Protect your truck with the custom-design of WeatherTech No Drill Mud Flaps. They feature DigitalFit design for a perfect fit to your vehicle. WeatherTech Mud Flaps offer a No-Drill installation and will offer the best exterior protection for the sides of your vehicle. Protect your truck with the custom-design of WeatherTech No Drill Mud Flaps. They feature DigitalFit design for a perfect fit to your vehicle. Plus, WeatherTech No Drill Mud Flaps are constructed using OE-approved thermoplastic resin for great-looking, durable construction you can depend on. 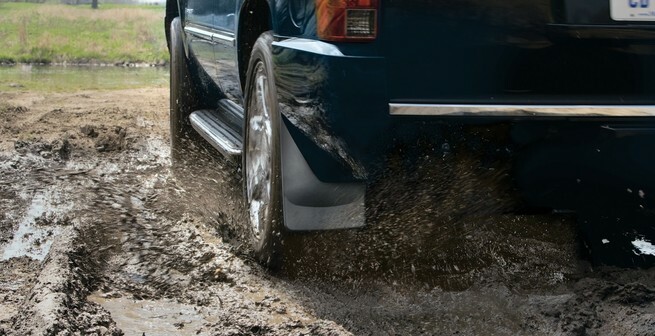 Your WeatherTech No Drill Mud Flaps are engineered with the patented QuickTurn design. Drilling into your truck is not just inconvenient; it has the potential to open up your vehicle to damage caused by rust. With the QuickTurn design your mud flaps install with no drilling, so you can hit the road quickly and without damaging your paint job. 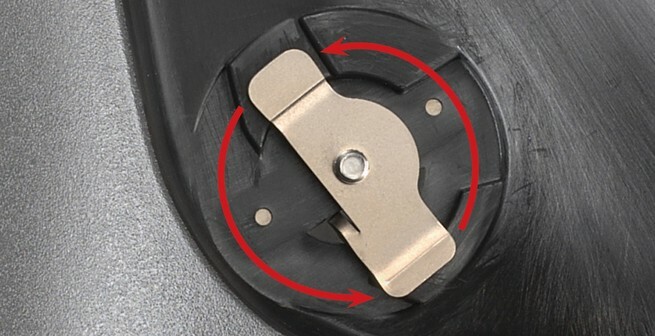 And on most vehicles, WeatherTech No Drill Mud Flaps install easily without requiring you to remove your wheels. 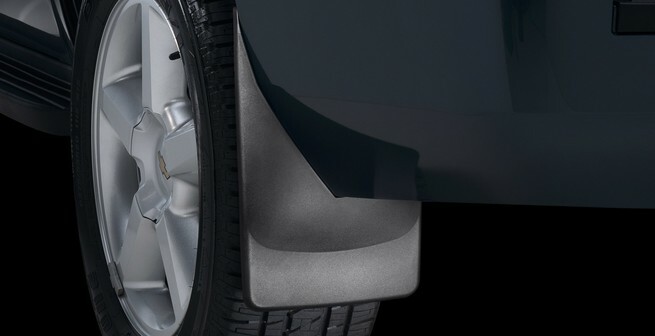 Get all of the protection of high-quality mud flaps without risking your paint. WeatherTech No Drill Mud Flaps provide the snug fit and great looks that your truck deserves. Plus, they’re backed by WeatherTech’s 3-year against defects in material and workmanship. Click the Start Button Below To See What Fits Your Vehicle.